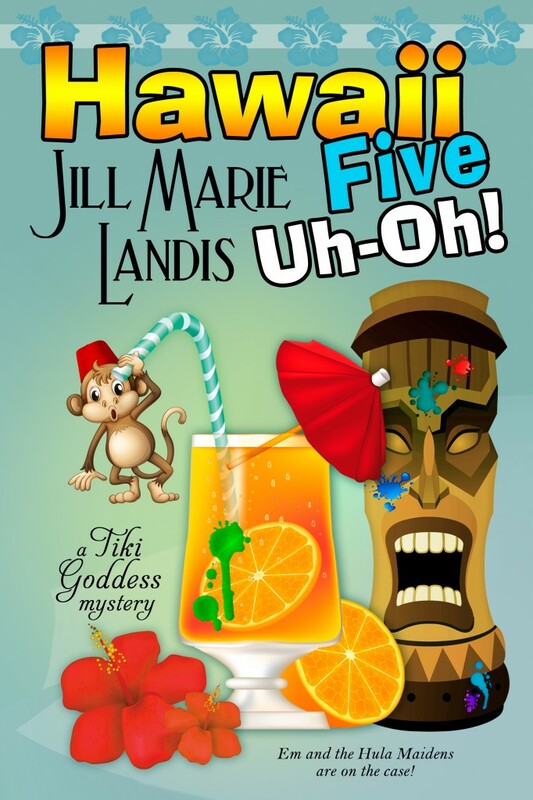 Big news here in Tiki Goddess land is that Book 5 of the Tiki Goddess Mysteries will be released on February 1st. I’m so excited I can hardly wait to hold a copy of HAWAII FIVE UH-OH in my hands. Right now you can pre-order on Amazon, B&N, iBooks and wherever else you shop for your books. Try your favorite brick-and-mortar store if you are lucky enough to have one near by. Yes, Alphonse the Capuchin monkey is back in action, Kiki is still reeling from the monkey attack she suffered at Lihue Airport in the last scene of Book 4 TOO HOT FOUR HULA, and the rest of the Hula Maidens are in fine “spirits” as they pull out all the stops to try and solve the latest mystery they’re embroiled in on the North Shore of Kauai. As always there are laughs galore as well as some tasty recipes included for you to enjoy. So ladies and gentlemen, start those blenders and get ready for FUN! Yeayyyy……finally new book. I already pre-ordered the e-book, can’t wait to read it!!! Right now I re-read again from book 1 to refresh my memories. Love love love this series so much. Love the Tiki Goddess series! Just read #5 and hope there are many more to come!!! Thanks so much! Tiki On!